For the second and certainly the last time the Alliance was broken, and I had done it. I didn’t regret it; it was the only thing to do, I thought. But here I was, thousands of miles, not only from home, but from anyone I knew. I didn’t know this place, and I wasn’t a quick study. I was alone on the road. With one or two other guys, no one bothered us. But alone, I made an easy mark, as Dad would have said. I was an 18-year-old Yankee drifter without a clue. I only vaguely perceived the real dangers. They were more threatening than I realized. Truly, there were killers on the road, the road I was on. I belonged at home up north, not wandering from town to town in the southern Midwest. Again and again I would think to myself, What am I doing? How did I get here? Now, even more, something opened before me, something great and airy and mysterious. The sky grew, the land spread out like a fan, offering no visible terminus. Now nature took on the infinite character I felt with time. The days went on and on; now walking out onto the Great Plains, space went on and on. I had never been in possession of so much room to move in, or time to stand or drift as I pleased. No person or thing called me to go there or do this now. I just was; and I never had been. Alone with myself, and my life, especially the last two years of it, I had little else to do beside reflect on my stupidity, aimlessness and failures. However, such constant introspection never led anywhere, never led me to any conclusions that seemed to help. The God question never left me now. It already began to take on a feeling of desperation as my ability to live life on my own terms washed away in the spring torrents. In fact, I had no terms of my own; I’d let myself be led around, and I hadn’t ever tried to lead myself. I had two questions. The first was, How would I leave the road? The best I could come up with was finding myself a job. It wasn’t as sensible as going home, perhaps. But deep down, I wasn’t ready to leave altogether. I wanted my drifting to end, but I felt this trip should end somewhere on down the road, not back at the beginning of it. And the second question was, Why was I even on this planet? What had been troubling me for three or four years now came up before me in a way that I could not brush away. There were no more distractions, nothing with which to busy myself. There was no more noise or chatter or party or high to chase after. Just me and the towns of the Oklahoma plain. This was the God question. It was the same as the meaning question, and the reality question and the eternity question. It always came back to God. These two questions intersected on my insides, where I felt a yearning, a pulling, a burning in my body to walk on and see what lie ahead. It hadn’t entered my mind that this could have had a spiritual component originating outside of myself, but I would soon become convinced of it. Mark and Troy left Elk City on May 5, and traveled north. We didn’t know when we would see or hear from each other again. It may seem odd, but I made no immediate plans to leave Elk City. I decided I was not going to leave until I knew where I was going, and why. I asked around about some assistance and I was referred to a man named Harm Saunder. He came and picked me up in his car. He was a slight, buttoned-down man, perhaps in his forties, with angular features. Clean-shaven, in shirt-sleeves and a red tie, he looked me up and down. I hadn’t shaved for about six weeks. I wore a lot of the road on me. I was asking for help, because I was hungry, and didn’t know what to do. He didn’t look me in the eye; his mouth was tight. I immediately felt his disapproval. Times like this, I really did feel like I was in a foreign country. We were from different worlds, and at the time I had no idea what was going through his head. I do now, because I know Harm Saunder, a lot of Harm Saunders. In fact, what is even more revealing is to know there is a trace of him in me, in most of us. Whenever I have looked at someone through those eyes, eyes that disapprove, that distance, that disdain, I’ve forgotten and betrayed that hungry and aimless person I was all those years ago. He drove us to a grocery store. I waited in the car and he came out with a loaf of white bread, American cheese and bologna. As he handed me the bag I looked at the food. I could taste the sandwich: it was going to be so good. “Well, I wonder…” he said, fixing to come to the real point. Oh no, I thought. Here it comes. “I know about him,” I said. I just about choked on the words. I told the truth: I knew I didn’t understand much, I knew I believed a lot of things, I knew I didn’t know what I wanted to know, and maybe I didn’t believe what I wanted to believe. But saying the words, hearing myself saying them, was extremely uncomfortable. I squirmed. The next day, I met a couple of fellow drifters. You always do. It’s obvious to you the other people who are living on the street, sleeping in the park. They’re not invisible when you’re one of them. But I was very careful whom I spoke with, and what I told them. I didn’t tell anyone, for example, where I would be sleeping. Ironically, I was welcome at a cafe on the main drag, where one of the regulars started calling me Oregon, after he got used to seeing me there every day. I felt safe there, and no one there looked down on me. One of the guys I met was Emmett Glover, an alcoholic in his fifties, tall, wearing an overcoat, always with a bottle of hooch in his pocket. Right away he warned me about a couple of guys at the park, standing at a distance. Emmett was from Kentucky. We sort of paired up, it seemed. I felt safer with him around. He was tall and lumbering, always drinking but rarely drunk. He had years on the street and on the road behind him, and he could tell I wasn’t savvy. I’d never known a person like Emmett before: a broken down man, a man who’d brought his life to nothing, a homeless, hopeless drunk with nothing in this world but pain – physical pain, he told me – but psychic pain as well, I supposed. I couldn’t imagine what he was looking forward to, ever. The day I met him, I also called Mom. I told her where I was, that I’d split up with my friends, that I was in a town called Elk City, Oklahoma. She insisted on wiring me some money and later in the day I did my best to conceal my walk to the Western Union office to get it. One of the more amusing problems I had in all my travels was having that fifty dollars that allowed me to survive, but which I was certain I needed to keep a secret from everyone – for my own safety. And make no mistake, everyone wanted and needed money – for one thing or another. In my case, it was food. But when Emmett said to me, “Let’s go panhandle for some money,” I couldn’t make a plausible excuse. I found myself in the ridiculous position of standing outside a grocery store, asking strangers for money when I had the better part of fifty dollars in my pocket. I was surprised at how decently people treated me, and how much money they gave me when I told them I was trying to buy a sandwich. For money, I was set. I wonder how long I thought I would stay there. I actually started looking for work. 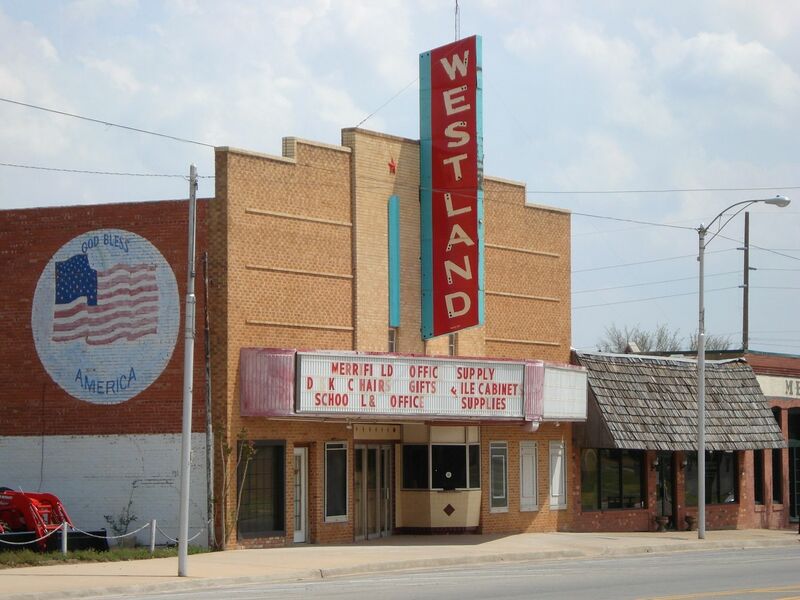 I even filled out some job applications, including one I handed in at the old downtown movie house on Main Street, The Westland. I still haven’t heard back. I looked for any opportunity to work I could find. One night I went to an Arby’s at closing time. They let me mop the lobby, then sit at a table while I ate some unsold food. 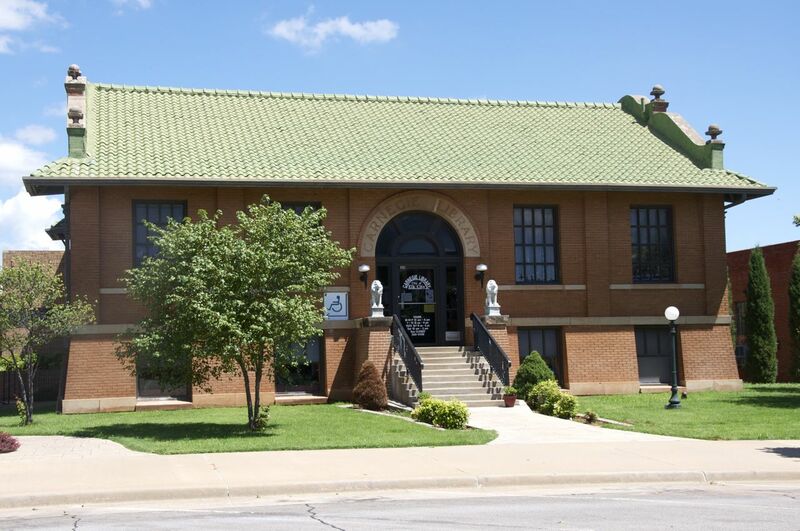 The next few days were divided between Elk City’s beautiful Carnegie Library and the cafe. That’s where I would eat, chat with regulars, and ask about work. “Hey, Oregon,” this friendly guy said to me. “If you want to find a job, you really should go to the City.” Oklahoma City was a little over a hundred miles down the 40. Emmett had his own ideas. He didn’t want to go to the City. Maybe he just liked these small towns along the Interstates. If they were as hospitable as Elk City, I could see why. But I was ready to move on, after I saw the sense of going to OKC. That sounded interesting to me too, as an experience, but I was also wary of such a place. What I heard later about him and his farm made me glad I never went there. Emmett got a day’s work, and asked me to wait until he was done before I left. I met him on the eastern edge of town. He had money in his pocket and we were ready to leave town, but it was late, so we slept by the highway and left the next day. It was Monday, May 10th. We got a ride to the next town going east, Clinton. It was cool and overcast, as we spent the night in a large park in the middle of town. It was raining on Tuesday, and we were mostly hunkered down in the park, which included a pool, an amphitheater, a baseball diamond and tennis courts. Then it got stormy, with heavy rains and tremendous winds. It grew twilight-dark well before sundown, and it was clear we were going to need some shelter. I really knew nothing about the seasons there, nor about tornadoes. Today was the day to learn. Emmett and I crossed the road from the park and took refuge in the Blue Pig Bar. I hadn’t heard anything about any tornadoes anywhere. Then suddenly on May 11, 36 twisters touched down in Oklahoma, Texas and Kansas, 27 of them in our region. A little after 4:00 a tornado watch was issued. At ten to five, an F-3 twister hit Altus, about 70 miles south, tearing up the Air Force base there. Ten minutes later another F-3 traveled within a mile of the field where we had slept near Mangum only a week before. It killed two people as they ran for a storm cellar. I didn’t know whether I should be concerned or not. I watched the folks inside the Blue Pig to find out. They ranged from apparently indifferent to tense and distracted. The radio and TV were on, and when tornadoes were sighted nearby, a half dozen or so of us went outside where we had an unobstructed view of the sky. I was amazed. The sky was aglow with gasses, turning the clouds green and casting a dark and eerie hue on us. The wind died down. It was weirdly quiet. “The wind stopped. Is the storm over?” I asked. The evening wore on. I had some beers. Eventually the bar would close, and Emmett and I would be back on the street. How could we do that, when dozens of tornadoes had touched down? Tornado sightings in western Oklahoma continued through the evening. Finally, the last one was seen at 8:42. It was ten miles away. Emmett met a guy in the bar, who called himself Lobo. He was real rugged character, a Vietnam vet, about 40, with an army jacket and a cowboy hat. As closing time neared, he told us we could crash at his house. He lived a few miles out of town. The idea of driving out in this weather made me uneasy, but not compared to when we were doing it. When we left, the storm was raging. The rain was blinding and the wind thrashed violently against every obstacle. Then there was the lightning. As we drove out on the straight road leading to Lobo’s house, I looked out the window and could see nothing but the black of night and torrents of rain. Then the explosions began. Back home in Portland, thunderstorms are pretty rare. In Montana they are common in the summer. My Dad, who grew up in Iowa, had taught me when I was a boy to count the seconds between the flash of lightning and the sound of the thunder, to determine how far away the lightning had struck. I had never been so close – it had never occurred to me that I ever would be – that the flash and the thunder were simultaneous. When the first bolt of lightning struck the ground next to the road as we passed, I jumped. 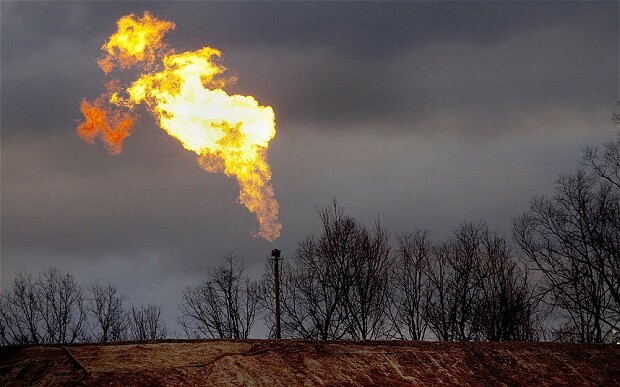 It was like a mortar round: a brilliant white light and a sound like a bomb exploding. I looked at Lobo, who had been drinking all night, I was pretty sure. He seemed steady. Maybe we wouldn’t die. Then another strike. Instead of counting time, I counted at least three ways we could die: tornado, lightning or car wreck. Shortly we arrived at Lobo’s cinder block house. Inside we dried off. I felt safe, and Lobo hadn’t a care, which made me feel better. On into the night, Lobo showed us snapshots from his time in Vietnam, and told some wrenching stories of carnage and loss. 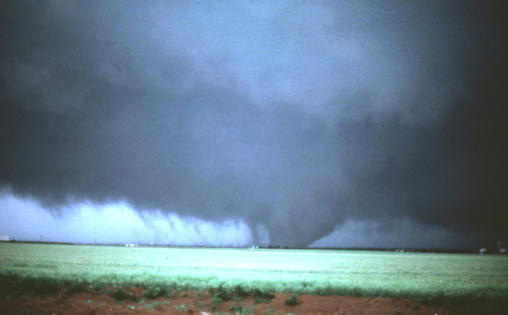 Multi-vortex tornado in Altus, OK, May 11, 1982. NSSL Photo. In the morning he fed us and dropped us back in Clinton. I found a paper and read about the damage and deaths the night before. What would I have done without people like Lobo and the others who helped us? God was invisible to me and silent. And yet these mounting instances of deliverance and refuge were both visible and vocal. So were the chance meetings, the little messages, the thunderous quiet and the revelations that came from being alone and drifting with nothing. Together they made me think and wonder. We ask for signs and dismiss them when they come, but grace speaks the louder when we listen, reaches farther when we stretch out our empty hand. I spent the next three nights in Clinton, one in the park, another in a self-serve car wash. At some time during those three days, Emmett and I lost track of each other and I didn’t see him again. I figured he was off to find that work farm. The third night I met a guy named George who convinced me to sneak with him into a U-Haul lot and sleep in one of the trucks. The next morning, the 15th, he went off with a friend who showed up in a car and dropped off another guy named Kenny. George said he was coming back in about 45 minutes. When, after talking with Kenny for some time, I looked in my wallet and saw that George had stolen all of my money, I realized he wouldn’t be back. With no money, I decided it was time to leave Clinton for Oklahoma City. I walked to the east end of town and caught a ride to the next town, Weatherford. There I was picked up by a college professor who was driving his family to The World’s Fair in Knoxville. They were warm and kind, and once again, I wondered at the good luck of meeting such nice people. For crying out loud, they treated me like a nephew they hadn’t seen in years. They stopped to eat their dinner at a supermarket parking lot in Oklahoma City. I told them about how I got here, about my friends, the hitchhiking and the roughnecking and wanting to go to Europe. They asked me my plans. I told them I would look for work in the City and start back to school. They perked up when they heard that, full of enthusiasm and encouragement. So I told them I wanted to write, that I would probably study English or creative writing. The professor drove me further in to drop me close to downtown. A we parted he slipped me a five dollar bill. Now it was the only money I had. I found a barber shop where I asked to use their phone. I walked in and felt I had stepped back fifty years. Three or four black men were sitting around, just talking. It was in the classic style, with black and white checkered tiles and chairs that were made when Roosevelt was president. The whole place looked like a Rockwell painting. I was in the city: I felt it so strongly, and it was such a comfort and relief. These guys didn’t look at me sideways: they acted like this scruffy-looking kid with a knapsack and a sleeping bag wasn’t out of place. Reminded me a little of places back home, in northeast Portland. Is this home now? Am I done with my travels? Sure feels like it. I looked up the number and dialed. “Yes, you may,” and she gave me directions. “See ya, bye,” and she hung up. 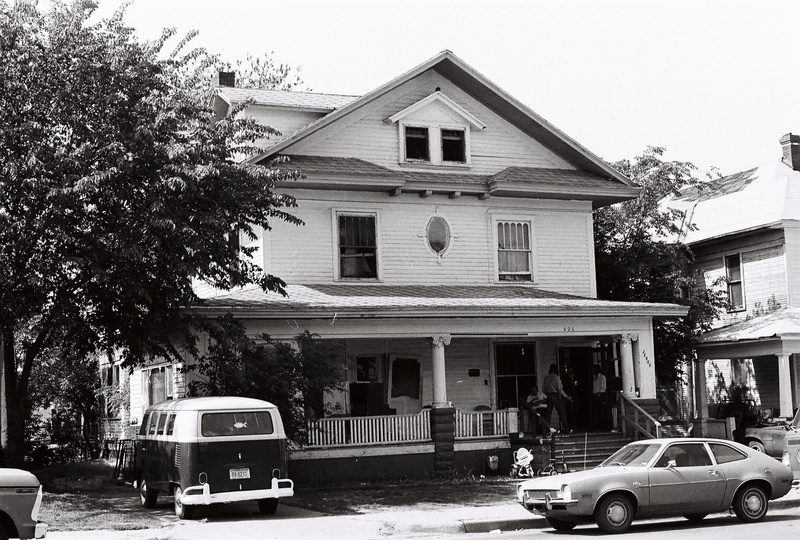 A half-hour later I was standing in front of a street mission in an ancient three-story house. My trip had come to its end. I hesitated, remembering that the first night of my journey, seven weeks and two days ago, was spent in a street mission in a house. Would they house men like that? Would they trade food for listening to a sermon? Would they throw down their rules, and not even engage me in a conversation like a fellow human being? It doesn’t matter, I thought. It’s only for a night or two.